There is a new update (April 30th, 2011) about Dr Omerbashich, here in French, and here in English. Bosnian "pyramids": hills shaped by Romans, that’s the title of a new blog, created in August 2007, dedicated to the "Bosnian pyramids" : http://omerbashich.blogspot.com/ (en). Not just another pro- or anti- pyramids blog : this one at the same time denounces Mr. Osmanagic’s "amateur digging" and hoaxes, and claims to offer an alternative theory to the existence of the "pyramids". It’s likely that Roman legionaries had shaped Bosnia’s hills they used as observation posts, thus securing the post against siegecraft. Strategic hill-slopes were flattened and aligned in the E-W direction to create optimal conditions in which sunlight or moonlight could expose any intruders, day or night. Similarly, Visoko tunnels were part of a well-known ancient military tactics of sapping used often to undermine and conquer enemy fortifications. 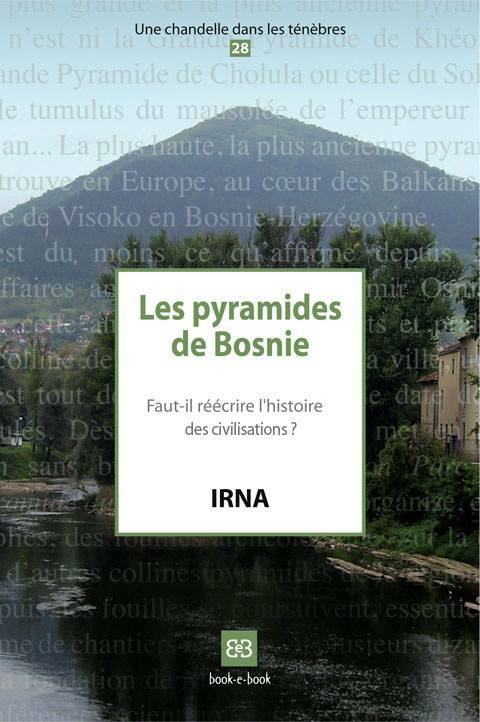 As arguments supporting this theory he uses his knowledge of ancient Roman warfare drawn from Vegetius’ De Re Militari, and a series of comparisons between the Bosnian "pyramids" and various known archaeological Roman, pre-Roman or medieval sites. The reader can become acquainted with this hypothesis on his blog, but I would like here to point a few flaws that, if not invalidating it totally, make it in my opinion for the moment not much more founded than Mr. Osmanagic’s one. Mr. Omerbashich seems to have built his theory without sufficient prior knowledge of the works of local historians and archaeologists, as appears from this exchange between him and Stultitia that you can find here (en) and there (en) where he apparently dismisses the work of a local specialist of Roman roads because "he hasn’t recognized anything out there" (and where, by the way, he seems to confuse toponymy (en) and topography (en)). With all due respect to Mr. Omerbashich, I cannot help to feel something quite "osmanagician" in the way he answers Stultitia in this discussion. Even if he states, like did all the geologists who became acquainted with the "pyramids", that Mr. Osmanagic uses "natural geological features given great importance in an attempt to construct impossible proof of a pre-Stone Age civilization", a great part of his arguments for his theory of Roman-shaped hills is based on the same "pseudo-artifacts" Mr. Osmanagic uses : "pavements", "terraces", "cement", "slabcuts", "shoe-mould", "double-layered slabs" and so on. The difference is that he calls them "co-Roman paving", "co-Roman cementing", "co-Roman mould", when Mr. Osmanagic was referring to Prehistory and a mysterious "ancient civilization"; but it remains that both of them use natural sedimentary features (see in the "Gallery" part for numerous examples of such features) to back their theories of an anthropogenic origin of the hills around Visoko. I read your blog "Bosnian "pyramids": hills shaped by Romans" with interest, and would like to submit to you a few questions and comments. I tried to post this on your blog, but somehow my browser won’t let me see the characters for the visual verification. 1) There seems to be a mistake among the pictures you put on the right side of the blog: the photograph you call "Stone Age hoax, or artifact removed? ", is not a hoax at all, nor does it belong to the Bosnian "pyramids" location; it comes from Qurta, south of Egypt, see here (en) and there (bs). 2) In your post "Erosion-measures for military purposes", you seem to be speaking mostly of Visocica: "A first look at Visočica suggests...", "seem pretty evident in parts of Visočica...", "The task of securing Visočica’s slopes...", "The Visočica pavement...", "Another indication of human intervention in case of Visočica slopes stems from the levelness of all the apparently paved terraces" and so on. However, the description you make of "paved terraces", "double-layered stone slabs" or "flat horizontal terraces", as well as the photographs you provide to illustrate these phenomena (dblslb.jpg and image003.jpg), do not pertain at all to Visocica, which shows mostly massive slabs of conglomerates with a pronounced dip, but rather to Pljesevica and Vratnica. Don’t you fear that making such a "collage" of features from different locations could quite weaken your thesis and be contrary to the scientific position you wish to present? 3) You seem to consider that, while most of the features Mr. Osmanagic uses as arguments are purely "natural geological features", some of them (uniform thickness, wide cracks, double-layered stone slabs, various "paving" or "cementing" for instance) could be of "anthropological origin". Did you ever consult with a sedimentologist about these features, or with any geologist used to field-work? I understand you are a geodesist, and you may not be aware of all the tricky features weathering and tectonics can produce in sedimentary layers. 4) Your hypothesis about the tunnels being sapping works is interesting, but I cannot help to wonder: how long and deep are usually the mines, be it during the Roman or the Medieval period? As far as I know, the Ravne tunnel is almost *three* kilometers from Visocica, on the other side of a series of hills (and farther still from Pljesevica); and the KTK tunnel, if closer to Visocica, is on the other side of the Fojnicka river, and about 2 kilometers from Pljesevica. Did you ever encounter such length for mines? And from what I remember from my history lessons, mining was used rather in non-coherent rock, when parts of the tunnels (mainly KTK tunnel) go through hard sandstone layers. Let me stress that I am not trying to defend Mr. Osmanagic hypothesis, on the contrary, as you will surely understand if you give a look to my website. But your alternative explanation of some features of the Visoko "pyramids" is not, in my opinion, much better founded if you do not take into account everything the relevant specialists (archaeologists, historians, geologists...) have to say about the region, its history and its geology. locations the photos were shot at, I would be more than glad to mention that information in my blog. Re my qualifications: I’m a theoretical geophysicist and a geodesist. While geodesists are concerned mostly with mathematics aspects of the Earth, geophysicists are concerned mostly with physics aspects of the Earth. Though I would love to learn more on your qualifications, I won’t ask you that, as I respect your right to anonymity. In case you are a sedimentologist who believes her knowledge could add value to the discussion, feel free to speak up. Let me answer your tunnels question with a counter-question: if you were a general who is commanding an (around-the-time-of) Antiquity army that is advancing towards or beyond Visocica, where would you order your troops to start digging sapping tunnels: (a) nearby the target – a well-secured, unobstructed, well-lit hill where you can be seen and intercepted in advance, or (b) farther from the target, in a non-conspicuous hideout where you can safely place your men and resources, and where your current activities cannot be followed and thereby intercepted in advance? solid rock, that can mean one and one thing only: they will soon be digging through the solid rock. As I mentioned to "Stultitia" earlier today, never undermine the work power of slaves, POWs, barbarians, peasants...all available at no cost to an Antiquity infantry general... Note also that tunnels were not made/used in/around the Antiquity for (anti)sapping only, but for supply (water, food, arms...) purposes as well. So you may find some tunnels ("mines") being dug in an entirely different manner, like those exiting to where drinking water is. I agree we should all stick to our respective areas of expertise, as much as possible. We may step out of them only if solicited, or when such an action is warranted by situation, such as when military-invoked shaping of natural hills hasn’t been recognized by anyone (instead having been misrepresented to the general public), and you believe you can prove just that. thank you for your answer. If you’ll permit, as I still cannot at all answer on your blog, I’ll put this mail exchange on line on my website. Thanks for your input; I have deleted the cave drawing picture. If you would please provide reliable sources that concur with your claims of the locations the photos were shot at, I would be more than glad to mention that information in my blog. Well, I’m quite surprised that you should ask that of me. As you are the one who offers these photos in your text as evidence of Visocica being man "processed", I thought you would know where these photos were taken, and be able to see the difference between the conglomerates on Visocica and the sandstones on Pljesevica. Anyway, the picture dblslb.jpg is from Pljesevica (see http://piramidasunca.ba/ba/index.ph... or http://piramidasunca.ba/ba/index.ph...), and the picture image003.jpg from Vratnica (see http://piramidasunca.ba/ba/index.ph...). I know what a geophysicist and a geodesist are; and that you are maybe not, as such, much used to see and identify geological details and features on the ground. I myself am not a geologist, rather a geomorphologist; as such, even if I’m quite familiar with field-work in sedimentary regions, I would not dare to claim an anthopogenic origin of any such features, without consulting at least a sedimentologist - and of course an archaeologist. That is why I asked you wether you consulted a field geologist. I’m afraid that in case you do not, your theory of a shaping of Visoko hills by Roman engineers is, if less "fantastic" than Mr. Osmanagic’s one, at least as poorly argumented. I perfectly understand your argument, but you do not answer my question. Do you have examples of 3 km long mines? As far as I know, one of the most famous tunnels in Antiquity, Hezekiah’s Tunnel in Jerusalem, was about 500 meters long (and I believe they used at least partially a natural karst). The length of sapping tunnels, during the medieval times, is commonly a few tens, at most hundreds, of meters (see for instance the mine made during the siege of Constantinople); to avoid being attacked by the defenders, the attackers usually used various kinds of screens, rather than starting from farther off and add weeks of work. I never was in Visoko, but I can read a topographic map: for instance you have one on page 82 of the "Multidisciplinary project of research" (downloadable here (bs)), that shows that numerous places, not visible at all from Visocica, could have been used for starting a sapping tunnel much nearer from the hill, and so spare the task of digging through 3 kilometers of hard rock. As an infantry general, you don’t really care what type of obstacle (soil) your soldiers are to encounter. If you order your soldiers to dig through solid rock, that can mean one and one thing only: they will soon be digging through the solid rock. As I mentioned to "Stultitia" earlier today, never undermine the work power of slaves, POWs, barbarians, peasants...all available at no cost to an Antiquity infantry general... Note also that tunnels were not made/used in/around the Antiquity for (anti)sapping only, but for supply (water, food, arms...) purposes as well. So you may find some tunnels ("mines") being dug in an entirely different manner, like those exiting to where drinking water is. Of course you may imagine a lot of things; but in order to build a real hypothesis, you have to lay its foundations on archaeological evidence, not only on a few strange geological features that could perfectly be natural. I humbly suggest again that, unlike Mr. Osmanagic who never accepted to take into account what geologists had to say about his "pavements", "mosaics" and other "artifacts", you should get in touch with your colleagues familiar with the Miocene layers of Visoko region. The one time pictures dblslb.jpg and image003.jpg are referred to anywhere in my blog was in the article Erosion Measures for Military Purposes. However, nowhere in that article do I claim the two being related to Visocica. Since you didn’t care to elaborate on this insinuation of yours, I’ll take you’re confused about what your question really was. A hint: I don’t insist that Visocica is the only shaped hill; do read all the articles so that you can gain correct picture on what my blog is about (it’s also helpful to read titles – note plural in ’hills’). Regarding your sapping comment, obviously you need to read more. advise you to join an army and see it first-hand. Finally, although wrapped in seemingly polite lingo, your message borders with offensive. I don’t allow offensive contents in my blog; read (why, do I have to keep repeating myself) the note at the very bottom. But I’ll post it, as your attitude does seem to stem mostly from your gross misunderstanding, and not just disrespect. no (reasonable) comments to make, and that our communication on the subject matter has therefore ceased. disparaging tone of your last mail. description you make of "paved terraces", "double-layered stone slabs"
illustrate these phenomena (dblslb.jpg and image003.jpg), do not pertain at all to Visocica, which shows mostly massive slabs of conglomerates with a pronounced dip, but rather to Pljesevica and Vratnica. Don’t you fear that making such a "collage" of features from different locations could quite weaken your thesis and be contrary to the scientific position you wish to present? " stems from the levelness of all the apparently paved terraces" is wrong. time photos from Pljesevica and Vratnica. If you read it with less jumpiness, you could notice that my blog isn’t about any specific "geological details and features on the ground". So, once again, I fail to see your point when suggesting I should solicit non-specialists (in the blog’s subject). I’m glad to learn that you are a geomorphologist who realizes where the limits to her/his specialization are. I was also pleased to hear, in that respect, that you "would not dare to claim an anthopogenic (sic) origin of any such features, without consulting..."
geologists, you make exactly the same mistake as Mr. Osmanagic does. You found a large part of your theory on the mis-interpreting, as artifacts and results of human intervention, of purely natural geological features. If you agreed to solicit a "non-specialist", for instance a sedimentologist, he would most probably explain you that the "medieval artifacts" you show on your blog are in fact classical examples of "Liesegang rings", as is the "co-Roman shoe-mould", and that the "co-Roman paving/tiling" is likely to be purely natural. There are very few indisputable artifacts in Visoko excavations (the rectangular structure you call "chamber", the fragments of a "wheel" that you call "bread-oven stone), and none, as far as I know, has been correctly excavated nor dated. If I, as you put it, realize "where the limits of my specialization are", I’m not sure, with all due respect to you, that you do the same. Concerning your remarks on military reasoning (you call it "imagined"), I advise you to join an army and see it first-hand. Sorry, these remarks are totally unworthy of you and your background. than Vegetius and Wikipedia, on real sapping tunnels and their length. As for my sentence "Of course you may imagine a lot of things...", it did not pertain to "military reasoning", but rather to archaeology. Anybody can claim that Ravne tunnel is a sapping tunnel, a water-supply tunnel, a mine tunnel for iron or copper, a tunnel built for the escape of Queen Katarina, or even a tunnel connecting Atlantean pyramids; as long as no archaeological or historical evidence is given, it all remains "imagination", not science. Finally, although wrapped in seemingly polite lingo, your message, borders with offensive. I don’t allow offensive contents in my blog; read (why, do I have to keep repeating myself) the note at the very bottom. But I’ll post it, as your attitude does seem to stem mostly from your gross misunderstanding, and not just disrespect. I take it that, by displaying this sort of large misunderstanding, you have no (reasonable) comments to make, and that our communication on the subject matter has therefore ceased. If you deem disrespect or offense the legitimate questions your hypothesis must rise, the discussion is actually difficult. I have tried to make clear my objections and comments; feel free to answer or ask for further explanations if you wish and still think there is a "gross misunderstanding". My remark on ending the correspondence with you was due to the fact that I couldn’t see your point. There’s no alternative to clarity, is there; so it seems now as if you were referring to article Visocica Pavements Not Older Than Roman? Then say so, and save us both some time. You’d be correct of course, and "Visocica pavement" would have read "Visoko pavement", had you provided enough evidence that no pavement was found on Visocica. To give you benefit of doubt until you can prove it however, I updated this article to say generally "Visoko pavement" instead and throughout. Wikipedia or Google, but maybe Britannica. By reading further, you may even find out why one must be careful not to proclaim finds to be Liesegang rings. unable to use the comment form. Well, I think that I shall leave the final word in this discussion to Mr. Omerbashich, as I’m tired of being told that I’m too stupid to understand what I read, and as I see no point in continuing this exchange with someone who readily uses bad faith and scorn. Why does he pretend that I refer to one post, when I have clearly stated twice that I referred to another? Mr. Omerbashich clearly is not aware of the Visoko hills geology, particularly of the differences between the layers in Visocica and the ones in Pljesevica. He claims a Roman intervention on Visocica, confuses the photos from the different "pyramids", and I am the one who must "provide enough evidence that no pavement was found on Visocica"... and "prove" that something does not exist. Scientist though he may be, he reverses the burden of the proof as any pseudo-scientist would do. I have however read with great interest his new post about "Tunneling in Ancient Times", that answers partially one of my questions. The references he gives show that Romans could have made the Visoko tunnels - a fact which I never doubted; what I doubted - and still do - is his sapping theory, that I do not find convincing at all for the reasons exposed in the above mails. And, of course, a Roman age for the tunnels still has to be founded on archaeological evidence. Thank you very much for your thorough analysis of this scam that is still going strong in my homeland.